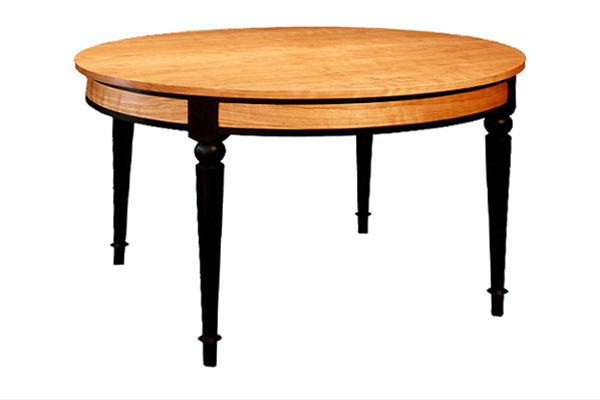 48” Round expandable table in the 'Studio Style'. Two 15” leaves. Natural cherry with black painted details. Also available with a top edge, or center inlay and other leg and apron styles..